Buying your first home can be a daunting prospect. There are many things you need to consider aside from how much it will cost. For instance, no one wants to buy a property and move in only to find that it is structurally deteriorating or infested with pests. At Casey Building Inspections, we provide cost-effective and accurate building inspections in Cranbourne. Our detailed reports give first home buyers as well as experienced property buyers peace-of-mind when making a major purchase. As independent inspectors, we provide unbiased information to help you make informed decisions when purchasing a home. This is an important part of the home buying process and we are dedicated to helping people understand the exact condition of the property they are planning to purchase. When looking at buying a property in the area, it pays to call in experts for pre purchase building inspections in Cranbourne. Our highly trained inspectors can perform comprehensive inspections that cover both interior and exterior spaces as well as structural points of the building. Different from standard building inspections, dilapidation reports detail the damage and wear a property has suffered over time. This report takes note of cracks and damage to the building as well as the condition of driveways, footpaths, and surrounding structures. 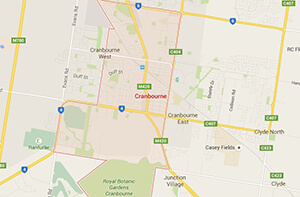 Our building inspections in Cranbourne take a close look at and report on the presence of termites and other pests on your property. We can also help come up with a solution to eradicate them, making sure they do not return. For further information about our building inspections in Cranbourne or to obtain an obligation-free quote, get in touch with our helpful and friendly staff today. Call us today on 0488 339 686 or contact us online and we will be happy to guide you through the process.